What Happens if My Ex Doesn’t Pay Child Support? Child support in California can be used for various expenses. Payments from your ex-spouse can help you afford groceries, school supplies, clothing or other essentials. Therefore, it is crucial to ensure you receive child support payments in a timely manner. Contempt of court: Your ex-spouse may face criminal penalties for willful nonpayment of court-ordered child support. 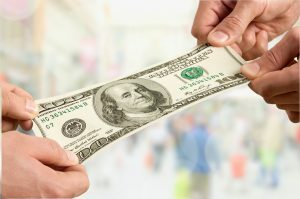 Tax refund offsets: The Department of the Treasury’s offset program could seize your ex-spouse’s tax refunds for nonpayment of child support. Property liens: Your ex-spouse could have liens put on personal property to recover past-due child support payments. Wage garnishments: Your ex-spouse could have his or her wages garnished for failing to pay child support. In this case, a judgment would not be needed for a wage garnishment. Occupational license suspension: Depending on the circumstances, your ex-spouse could have his or her professional license suspended if they fail to make child support payments. Passport renewal denial: The State Department may not renew your ex-spouse’s passport if he or she is behind on child support payments. Damaged credit ratings: In addition to the enforcement actions listed above, your ex-spouse’s credit scores could take a major hit if they owe past-due child support. As you can most likely tell, the California Department of Child Support Services has a range of options for recovering past-due payments. The San Jose divorce lawyers at the Law Office of Daniel Jensen, P.C. could advise you on which options are available to recover child support payments from your ex-spouse. You may call us at (408)296-4100 or you could describe the situation on our confidential case review form.